Advances in information technology will have major socio-economic significance, and will rely heavily on technical and scientific progress in the field of nanotechnology. The challenge of building systems for fabrication at this level imposes a formidable pressure on the lithographic processes in terms of dimension tolerances (10nm or less) and positioning accuracy (1nm or less), to quote only a few specifications. Due to the costs of next generation lithographic machines, it is now felt that economically reasonable improvements will focus mainly on the materials science aspect of the lithographic process - the development of advanced resists and smart materials. 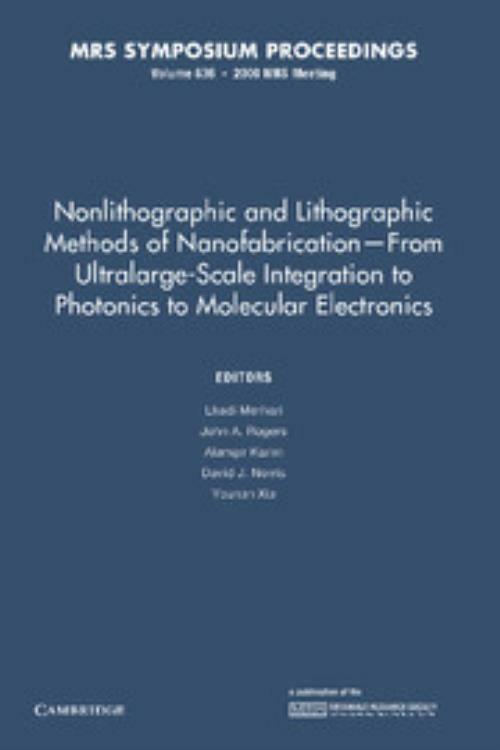 This book, first published in 2001, brings together researchers with a wide range of expertise in microelectronics, optics, magnetism, polymer synthesis and materials science. Topics include: advanced techniques and novel materials for nanolithography; unconventional approaches to nanofabrication and nanopatterning; self-assembled systems and chemical routes to nanostructures; photonic, electronic and magnetic properties of nanostructures and molecular devices. John A. Rogers Lucent Technologies, Liberty Corner, New Jersey. Alamgir Karim National Institute of Standards and Technology, Maryland. Younan Xia University of Washington.